Debt Consolidation—How Does It Work and How Much Does It Cost? HomeBlog Credit Card DebtDebt Consolidation—How Does It Work and How Much Does It Cost? Okay, you’re ready to admit it. Your debts have spiraled out of control. You’re several months behind on a few of your bills and having a hard time making the payments on the most of the rest. It’s gotten to the point where your financial problems are putting a strain on your relationships. There’s an old saying that “Money is an excellent servant but a cruel master”. Your debts may even be causing health problems because of the stress related to dealing with them. If you’re having a problem with your debts this isn’t something new. People have been having a problem debt practically since time immemorial. However, there’s no doubt about the fact that things got much worse after the Great Recession of 2007. In fact, American families now owe average more than $15,000 just in credit card debt, and a total average debt of $90,336. Since that number doesn’t include families that have no debt you can just imagine how much debt some families are carrying. If you’re buried under a mound of debt there’s a reason and the reason could be you. Maybe you’ve been using your credit cards irresponsibly. We know that when you want something but don’t have the cash to pay for it, it’s really easy to just whip out that little piece of plastic and charge it. Maybe the problem is you’ve bought too many expensive cars or too much house – leaving you too strapped to keep up with your bills. Or maybe all that debt really wasn’t your fault. Financial emergencies happen. You might’ve been hit with a big stack of medical bills. Your home might have required substantial repairs or maybe you lost your job and have spent months trying to find a new one. But regardless of why you’re struggling with debt you know the time has come. You’ve faced the facts. You know you need to start doing something to reduce and eventually eliminate your debts. So, the only question is what should you do. There is an option for dealing with debts called debt consolidation. It’s helped many families find relief from their debts. The only problem is that there are many ways to do debt consolidation making it important to know what they are and what they cost. The way this works is pretty simple. You take out a loan and use the money to pay off all of your other debts. You’ll then have just one monthly payment in place of the multiple payments you’re currently making and the new payment should be for much less than the average of those payments. However, if you’re really deeply in debt you may find it practically impossible to get a consolidation loan to pay off your debts. If you have equity in your home, you should be able to get either a homeowner equity line or credit or a home equity loan and use the proceeds to get rid of your other debts. But these loans are basically second mortgages on your home so if you were to default on the loan, you could lose your home. These types of loans are good in that they have fixed payments but they will likely have longer terms. 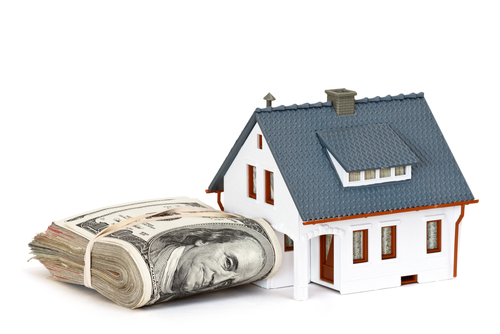 In fact, a home equity loan could have a term of 15 or even 30 years. While you would have a lower interest rate with one of these loans, it will still cost you more money due to their longer terms. Credit cards are a very competitive industry. If what’s dragging you down is credit card debt you could transfer the balances on your existing cards to a new one with a lower interest rate, which would mean a lower monthly payment. For example, if you had four credit cards at 17%, 15%, 19% and 18% you might be able to transfer their balances to a new card with a 12% interest rate. Or if you could get one, you could transfer those balances to a 0% interest credit card where you’d have anywhere from 9 to 21 months with no interest, which might be long enough for you to completely pay off your new balance or at least get it paid down substantially. What will a balance transfer cost? The interest rate on your new card will be less than what your current credit card debts are costing you, which will save you money. And If you can get a 0% balance transfer card, your cost would be zero – assuming you pay off your balance before your promotional period ends. However, most of these cards charge a fee to make the transfer that could be as much as $300. A third way to consolidate your debts is by going to a credit counseling agency where you will be offered what’s called a debt management plan (DMP). In this case, there’ll be a debt counselor who will work with your lenders to get your interest rates cut and any late fees waived and to develop a plan for repaying your debts. Your debts will have become consolidated because you’ll then have just a single payment you’ll make each month the agency, which will then disburse the money to your lenders. Thousands of Americans have used credit counseling agencies to get debt relief. But this does come with a couple of negatives. First, your lenders will close your credit cards accounts so that you’ll have to basically learn to live without them until you complete your DMP. Second, it can take as long as five years to complete a DMP, which can be a very long time to live without credit. Consumer credit counseling doesn’t cost very much. There may be an initial fee to set up your DMP but after that your only cost may be a monthly management fee of just $25. Watch the following video to learn five things you didn’t know about consumer credit counseling and how to choose a good counseling agency. Any of these three options can help you become debt free. But they all have one negative in common. They don’t do anything to reduce your debt. All you’re doing is moving your debts from one set of lenders to a new one or, in the case of consumer credit counseling, to a new place. If you owed, say, $40,000 before you got a debt consolidation loan, did a balance transfer or used a consumer credit counseling agency you’d still owe 40,000. A third way to achieve debt consolidation is by using a debt settlement company. This has become the most popular option for paying off debts because it’s the only way to get debts reduced instead of just moved around. When you contract with a debt settlement company your debts will be consolidated because you’ll no longer have to pay your lenders. What you will do instead is transfer money each month to an escrow-like account that you manage. As soon as enough money is in your account, the settlement firm will contact one of your lenders and begin settlement negotiations A good settlement firm is usually able to settle debts for fifty or sixty cents on the dollar. The downside to debt settlement is that it does cost money. Debt settlement companies are for-profit companies and charge fees for their services. These are often a percentage of the amount of the debt it’s settling and can be anywhere from 15% to 25%. If you owe, say, $30,000 and the settlement company charges a 20% fee, do the math. We guarantee you’ll still come out ahead. The second downside of debt settlement is that it will damage your credit score severely. That’s just a fact you’ll have to take into consideration before choosing this option.